Kindy teachers are working on this page. Please check back later. 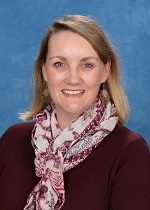 Hello, my name is Ms Karen Wyburn and I am the teacher in the ECE3 Pre Primary class. ECE3 is a great place to be with so many things to do and learn and new friends to be made. During the year your child will play with friends or independently; will develop and master new skills; learn to be an individual but also learn to be a team member. During the year your child will also have fun. Mrs De Morten is working on this page. Please check back later. 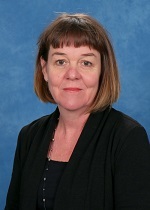 My name is Mrs Kate Wilson and I teach the year four/five class, in Room four. 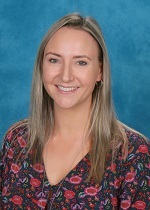 This is my first year at West Busselton Primary School, after returning from teaching in Karratha, since 2009. My main priority as a teacher is to build positive relationships with all students, I strive to design creative and innovative teaching/learning programs, that engage students and cater for diversity. In approaching my classroom, I firstly look at Maslow’s hierarchy of needs, believing all students need their basic needs met and to feel comfortable and safe, to begin their learning journey. Individual learning styles are catered for in my classroom. I often use an integrated thematic approach, which I feel assists greatly with intrinsically motivating students, through focusing on interest levels and creating a fun experience for all. Teaching and enhancing interpersonal skills are an important component of my teaching programme. I teach values as an underlying theme across all learning areas, as I feel these are invaluable in giving students a better chance of success in their academic journey and social connections. Good values and making good choices; promotes a good team environment as well as building strong foundations for the students’ futures. I value students’ backgrounds and aim to create learning experiences where possible, based on their interests so that they are motivated and can take ownership of their learning. My classroom is a safe, happy and supportive environment for all. I have a mental health support back ground prior to completing my Bachelor of Education, which I feel is invaluable in today’s diverse and complex classrooms. I am passionate about equality which I believe is every student getting what they need to reach their potential and gain personal success. I place high expectations on everything that I do, as well as my students. I thoroughly enjoy teaching and working with students and their families to facilitate them reaching their individual potential. We are the team teachers for Room 17 2019 and we are delighted to be working together. We believe building relationships is the first key to success, as students, parents and teachers working as a team will have a significant impact and effect on a child’s life. We provide an inclusive curriculum where each child’s needs are catered for. We provide a balance between explicit teaching and inquiry based learning (Investigations) with the goal for all our students to reach their full potential under out guidance. We believe in positivity and reward children that show the West Busselton Behavioural Expectations under the headings of - Be your Best, Be Caring, Be Respectful and Be Responsible. Not all rewards are material as we believe children can feel joyful within themselves and just require acknowledgment and praise. We aim to provide a safe and happy environment where children look forward to coming to school and are not afraid to learn from their mistakes. Miss Reitinger is working on this page. Please check back later. 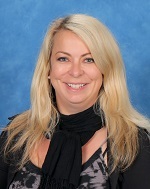 My name is Kim Hennessy-Darke and I teach the Year 3 class in Room 10. 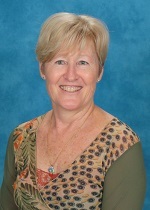 I have been teaching at West Busselton Primary School since 2003 which I thoroughly enjoy. I believe in nurturing children academically, socially, physically and emotionally to help them to reach their full potential and be productive citizens in our community. In the classroom I follow the I do, We do, You do approach to ensure that all students are fully supported in their learning and that they understand what they are learning and why they are learning it. I foster an environment which encourages children to share their ideas and take risks without fear of ridicule or embarrassment and instil in them that everyone’s opinion counts and is valued. I provide opportunities for the children to practise mindfulness and gratitude to develop their resilience and recognise that when things aren’t going their way that there is always something they can be grateful for in their life. Finally, I believe school is a place where every child should want to be and so I endeavour to teach with compassion and kindness and a good dose of humour. Because everyone likes to feel like they belong and most importantly be happy. Mrs Sullivan is working on this page. Please check back later. My name is Mrs Rocharna Titterton. 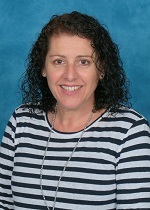 I have been a teacher at West Busselton Primary School since 2011. As an educator, my role is to guide each individual student to reach their potential and succeed; academically, socially and emotionally. I engage and motivate students by developing learning experiences that encourages them to become independent thinkers and learn the importance of initiative and responsibility. I do this by creating a learning environment within the classroom where students feel safe and valued and in which learning is accessible and enjoyable. My classroom is a place where students are confident to try, recognising that errors are an imperative part of the learning process. This methodology allows students ownership of their learning and facilitates their development of skills as life-long learners. My approach to teaching is student centred and this is relevant to our technological, fast paced world and vital for both student success and engagement within the classroom. Creating a classroom environment that is energizing and inspires students to be creative and lifelong learners is one of my strengths. I have clear expectations which are always displayed and discussed prior to beginning a task. A classroom which is tidy and uncluttered, full of children’s work promotes a caring environment which students are proud of. An open door policy for parents to come in and view their child’s work is also encouraged. For me, teaching is ongoing learning and reflection. Showing genuine interest and care is paramount in engaging with all students and I thoroughly enjoy coming in each day and hearing what my students have to say. It is a real pleasure being a facilitator of learning and experiencing the children’s joy as they reach academic or personal milestones regardless of how great or small they may be. Hello, my name is Jenny Allen and I am the teacher of Room 3, Year 2. I believe that all children are unique and have something special to add to our classroom and their own education. I create a supportive learning environment and have an open mind, positive attitude and high expectations in regards to behaviour and academic outcomes. I am diligent yet warm in my role as a teacher. I assist my students to express themselves and accept themselves for who they are; as well as embrace others. Every classroom has its own community; my role as a teacher is to assist each child developing their own unique potential. I present the curriculum that incorporates different learning styles and differentiate it to suit different learner needs. I incorporate hands-on learning, positive reinforcement, co-operative learning, and explicatively teach and model social skills that are needed in and out of the classroom. I have been teaching since 2009, however as a teacher I am still learning and reflecting just as my students are. Mrs Baxter is working on this page. Please check back later. Ms Hodgson is working on this page. Please check back later.